Virgin Australia has described Qantas’s argument that its proposed codeshare with Cathay Pacific would not reduce competition in the Australia-Hong Kong market as simplistic and incorrect. Qantas is seeking approval from Australia’s International Air Services Commission (IASC) to have Cathay Pacific add its CX airline code 35 Qantas-operated flights a week from Brisbane, Melbourne and Sydney to Hong Kong. The Flying Kangaroo﻿ has argued the focus of the codeshare is on attracting connecting passengers, with the codeshare flights to be sold only as part of a through journey involving connections either beyond Hong Kong on Cathay Pacific to destinations in India, Sri Lanka and Vietnam, among other countries, or to other Australian domestic destinations from Brisbane, Melbourne and Sydney on Qantas. 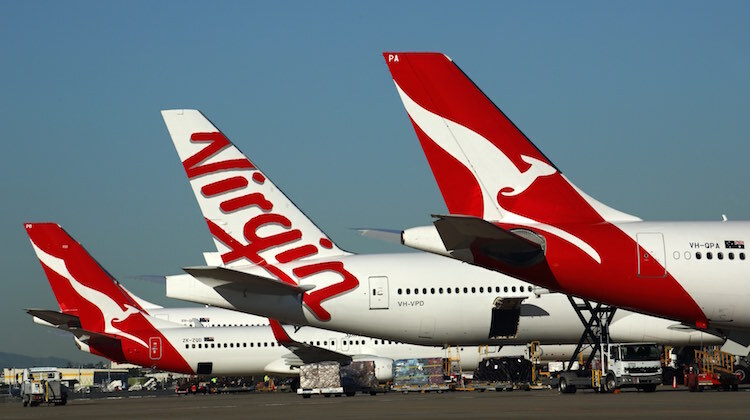 The proposed codeshare has been opposed by Virgin Australia, which said in its latest submission to the IASC it firmly rejected Qantas’s assertion there would be no adverse impact on the competitive dynamics on point-to-point routes between Australia and Hong Kong. “This simplistic view is incorrect and glosses over the complexities of route profitability,” the Virgin Australia submission dated March 28 and published on the IASC website said. As such, Virgin Australia said it was logical to expect that approval of Qantas’s application would lead to an increase in the volume of connecting traffic, due to Cathay Pacific being able to sell Qantas-operated flights under the codeshare agreement. This would lead to higher passenger load factors for Qantas’s flights between Australia and Hong Kong. “To suggest otherwise would be completely contrary to established revenue management practices. Qantas had told the IASC in a previous submission an average of 27 per cent of its passengers flying from Brisbane, Melbourne and Sydney to Hong Kong, or vice versa, were connecting passengers. Further, Qantas submission said the figure for Virgin Australia was, on average, 21 per cent. A number for Cathay Pacific was not provided. Virgin Australia said the IASC would need to determine if the “extremely limited public benefits” associated with the proposed codeshare outweighed the “corresponding potential detriment to competition, tourism and trade”. 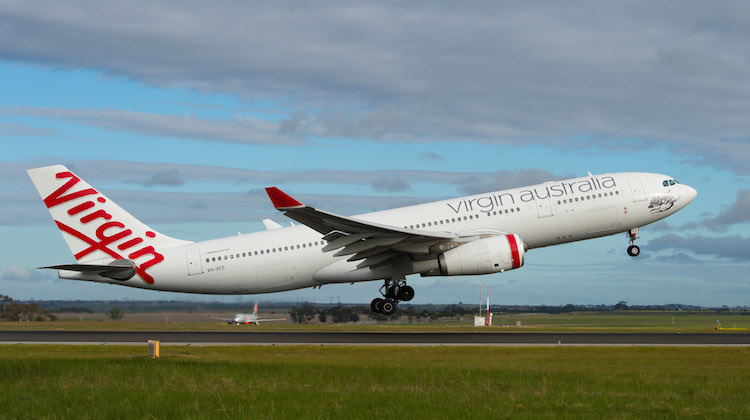 “From a practical perspective, Virgin Australia would encourage the Commission to consider whether a reasonable member of the travelling public, or an Australian exporter, would be willing to risk the Hong Kong route returning to a market dominated by two carriers in a duopoly, in exchange for gaining the ability to access marginal improvements in flight connection times and increased frequent flyer points,” Virgin Australia said. 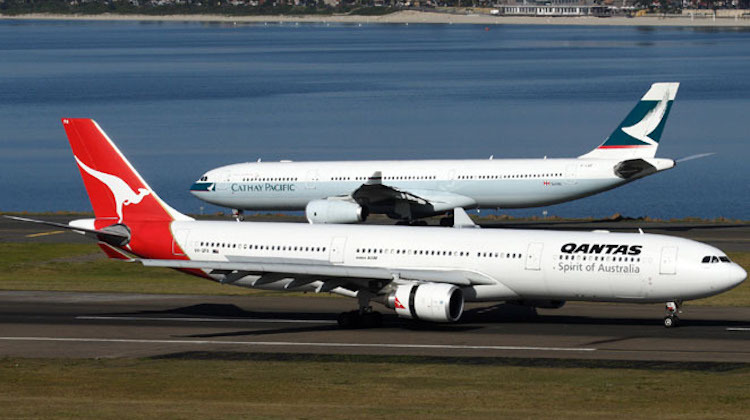 The Australian Competition and Consumer Commission (ACCC) has also raised concerns about the proposed Cathay Pacific and Qantas codeshare, with its submission to the IASC saying “the conduct may soften competition in the Australia-Hong Kong air passengers services market”. While this did not require regulatory approval, Qantas has said previously “it should not be assumed” that the airline would still be able to codeshare on Cathay Pacific’s Australia-Hong Kong services should the IASC reject its application. It is interesting that Virgin has complained about code share agreements which involve Qantas on the grounds that it harms competition yet under existing arrangements, Virgin’s load factor is significantly less then the other carriers. For example, Virgin argued against the Qantas and Air Nuigini codeshare on competition grounds but they had low load factors on the route. The agreement is subsequently rejected and Virgin’s response, reduce the number of seats using an Alliance F100. That must be confusing for the PNG market, with an airline operating the flight which is not the airline who sold the ticket. Where is the brand identification in this case as a Virgin flight? Another example is the Hong Kong route. Even under the current arrangements, Virgin as relatively low load factors in comparison to the other two carriers I understand. perhaps it is time that Virgin completed a serious reflection exercise to see why they aren’t filling the planes. Perhaps the new CEO will invite his management team to do so. Virgin has only just entered those markets, and Hong Kong recently expanded by 100% with the introduction of Sydney service. Virgin has not had the luxury of ESTABOLISHING itself in the market, a luxury Qantas was afforded for years under bilateral agreements and government control, Qantas and Cathay are the Goliath’s here, Virgin the little guy. The two combined share about 90% of the market, that’s outrageous to say they need to be allowed to codeshare and work together. As for load factors, routes take years to estabolish, especially if Virgin is in growth stage (which it is Sydney just started). To turn this around would any reasonable person say it would be a good idea for Virgin and Qantas to jump in bed together and codeshare on a route like SYD-Tamworth and between them run 8 daily services and go up against say Rex with one flight and 10% of the market, that would be just ridiculous and should be thrown out as anticompetitive, which any reasonable person would conclude very very quickly.